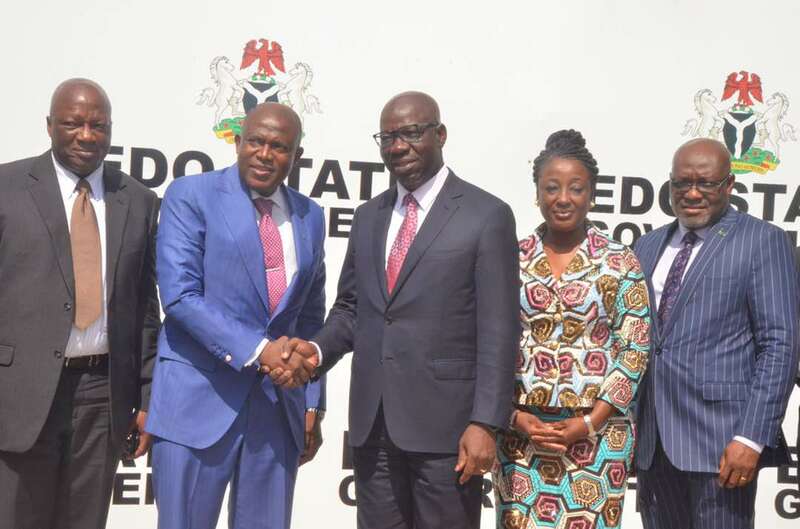 The Bank of Industry (BoI) has pledged more funding support to industrialists in Edo State to enable them to create value for their agricultural produce. Managing Director of the bank, Mr Olukayode Pitan gave the assurance during a meeting with the Edo Governor, Mr Godwin Obaseki at the Government House, Benin City. The visit was part of the familiarisation tours of the newly appointed MD of states where the bank is having a subsisting partnership on small medium enterprises development. He expressed the readiness of the bank to provide funding support to industrialists in the state who are operating in the key areas of production activities already mapped out by the state government. Pitan noted that plans were underway to raise about N1trillion from both local and foreign development partners, stressing that the strong balance sheet would help boost its loan reach in the state. He said,”Edo State is one of the states where we have an existing relationship on SMEs development. The banks have supported a number of projects in the state and still committed to granting loans to genuine entrepreneurs. Speaking earlier, the governor, Godwin Obaseki acknowledged the various impacts of the bank on business activities in the state but challenged it to extend loans to large business operators. He said if the large business had access to finance, it would rob on the production activities of small business owners. The governor said his government had identified key investment opportunity areas that would require strong financial back up from the bank. According to him, the key areas include, agro-processing, mining, real estate, industrial clusters, water and electricity. He noted that BoI has a unique role to play in the realisation of the state’s vision of becoming the industrial hub of the South-South through the development of industrial clusters and free trade zones. Meanwhile, as part of the activities for the one-day working visit to the state, the BoI boss visited some of the bank’s supported projects in the state. Some of the companies visited include, Happiness Foam Industry Nigeria Limited, Benco Aluminium Steel Products Limited, makers of aluminium roofing sheets and stone coated metro tiles and Lit Foods Nigeria Limited, producer of wheat coated peanuts and chin-chin. Briefing the BoI management team led by the MD, the Executive Director Operations of Lit Foods, Mr Ijomoni Oghenekeuwe said the loan support the company received from the bank helped in the expansion of its production lines. As a result of the purchase of more machinery which in turn helped in boosting production, Oghenekeuwe said the company was able to increase its employees from 320 to 500. Also speaking, the Managing Director, Happiness Foam, Mr Kelvin Izuchukwu also praised the management of the bank for the loan facility, stressing that with the loan, the company had been able to increase its operations and employ more staff.